Europeâ€™s largest Christmas tree stood for the first time in Lisbon in 2004, and returned in the following years to the very same spot in the cityâ€™s Comercio Square (you can see a video of the 2006 tree here). Last year it left the Portuguese capital and was instead planted in the countryâ€™s second city, Porto. 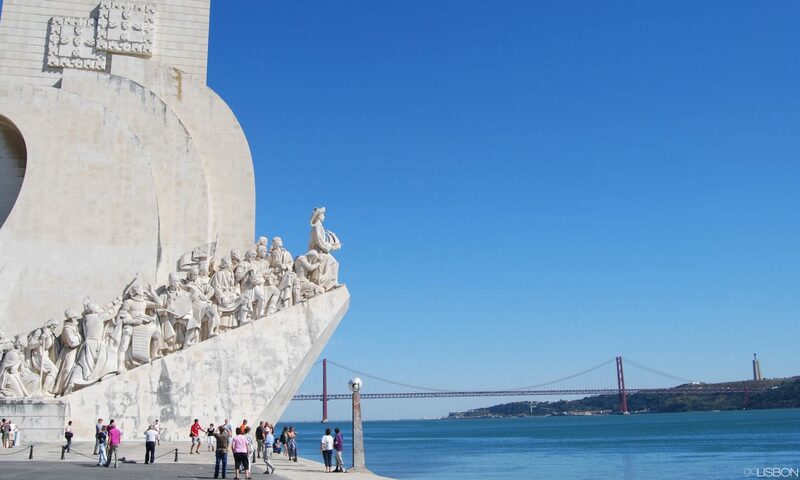 In 2008 it returns to Lisbon although not in the same square that it called home for two years. This time it will stand on Edward VII Park overlooking the city all the way down to the river. It will not be as tall (last time it measured 76 meters), reaching a height of “only” 44 meters due to the fact that the top of the park is much higher than its previous low riverfront location and it could interfere with the airplanes passing by on their way to the cityâ€™s airport. However, even with this yearâ€™s scaled-down version, Portugal will continue to have the tallest Christmas tree in Europe for one more year. It will be sponsored by different companies for a total investment that can reach between one and two million euros, with the lights turning on on November 22nd. It will brighten the holiday season until January, through which special musical events for the whole family willÂ take place around the tree. I am use to seeing the christmas tree in New York City every year. I moved to portugal 2 years ago. When I heard about the tree i was so excited to go see it. Only to discover that it is not a real tree at all not even a fake one to look real. I think it is a horrible structure and I am sadden by the tree. I would rather no trees then the structure they call a christmas tree. Its not something to brag about being the tallest tree if it is not even a tree!! I understand the factors of a real tree that size in portugal is hard to come by. Then have a fake one with real lights wrapped around it. You can not modernize christmas you just kill the whole aspect of it. Oooh! I am from Norway, but going to Lisbon for the holiday. Was there in 2005, and I was thrilled by the fantastic tree. loking forward to see this years’ edition.